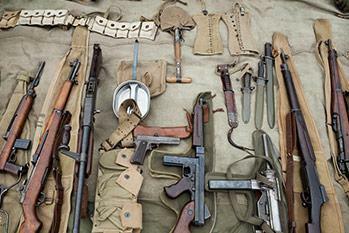 This course covers Category M (other than crossbows) and R for Weapons Collectors. A basic introduction to weapons collecting, the course covers the skills and knowledge essential to weapons legislation, weapons in the community, licensing requirements, safe handling, safe storage and transport, as well as additional information which is essential to all collectors. On successful completion of this course, participants will receive a Statement of Attainment for 30989QLD Course in Firearms Safety (Approved for Weapons Licensing in Queensland). This course meets the training requirements to apply for a QLD Weapons Collectors Licence for categories M (other than crossbows) and R (for non-functioning collectors firearms/weapons). This course covers M (other than crossbows) & R categories of non-functioning collectors firearms/weapons only. This course is delivered face-to-face over 4 hours in-class only.